Triton is the largest moon of Neptune. It is distinctive because it is the largest moon in the solar system with a retrograde orbit, meaning its orbit is opposite to Neptune’s rotational direction. This means Triton didn’t form along with Neptune, but rather was captured once Neptune formed. Just how Triton was captured isn’t clear, but one possibility is that Triton was once a binary object, and a close encounter with Neptune led to the capture of Triton and the expulsion of its partner. Triton’s orbit is almost perfectly circular, which is a bit surprising. It likely had a much more elliptical orbit when it was captured, and over time its orbit was circularized by tidal forces as well as gas and dust particles moving in a prograde orbit. The tidal forces also worked to sync its rotation with its orbit, so that now one side of Triton always faces Neptune, just as one side of our Moon faces Earth. 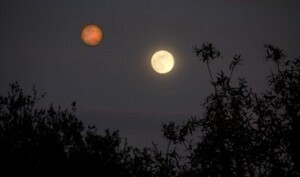 When it was initially captured, tidal forces would have been much stronger, which heated the moon’s interior. 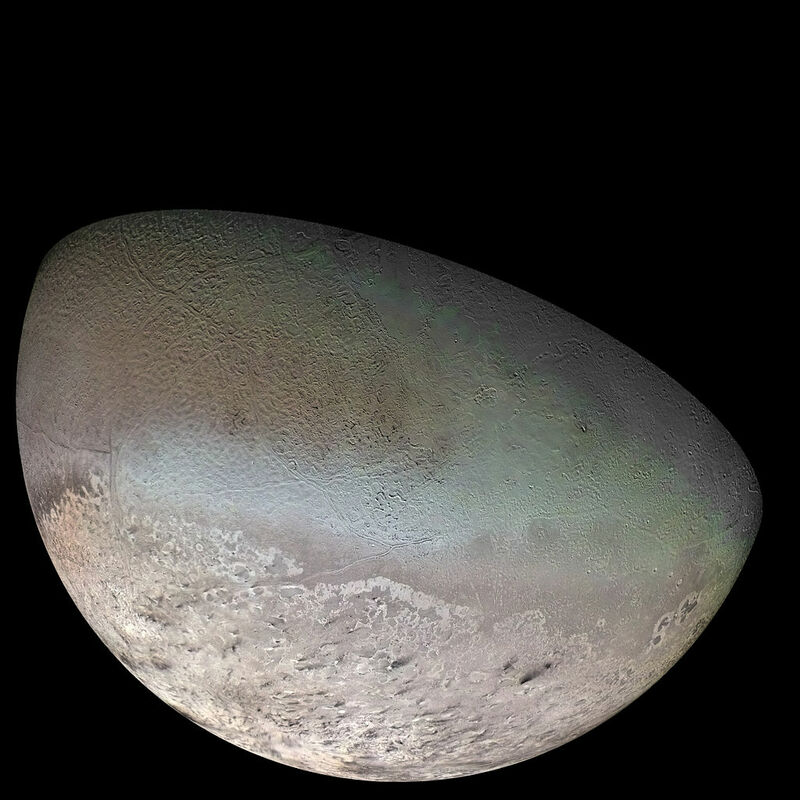 To this day Triton is still geologically active, though it is now driven by radioactive heating in its core. It’s possible that Triton has liquid water in its interior similar to Europa. Triton has a chemical composition similar to Pluto, so there has been some speculation that the two bodies share a common origin. What we do know is that Triton is a Kuiper belt object like Pluto. When New Horizons makes its flyby of Pluto later this year, one of the questions we’ll try to address is just how closely related Pluto and Triton actually are.